TP-LINK’s M5350 is at the forefront of wireless 3G sharing. Equipped with a built-in 3G modem, you can instantly established your own Wi-Fi hotspot simply by inserting a 3G SIM card at the back of the device. With up to 21.6Mbps download and 5.76Mbps upload speeds, the M5350 is able to provide 3G wireless sharing to up to 10 users simultaneously. Its pocket-sized design and powerful 2000mAh internal battery make it an ideal travel companion, allowing users to work or play for hours on end. Besides, with its innovative OLED display, users can have a much more intuitive view of the device’s working status, such as signal strength, network type (2G/3G), Wi-Fi status, message, Internet connection status, battery meter, connection mode and traffice statistics. 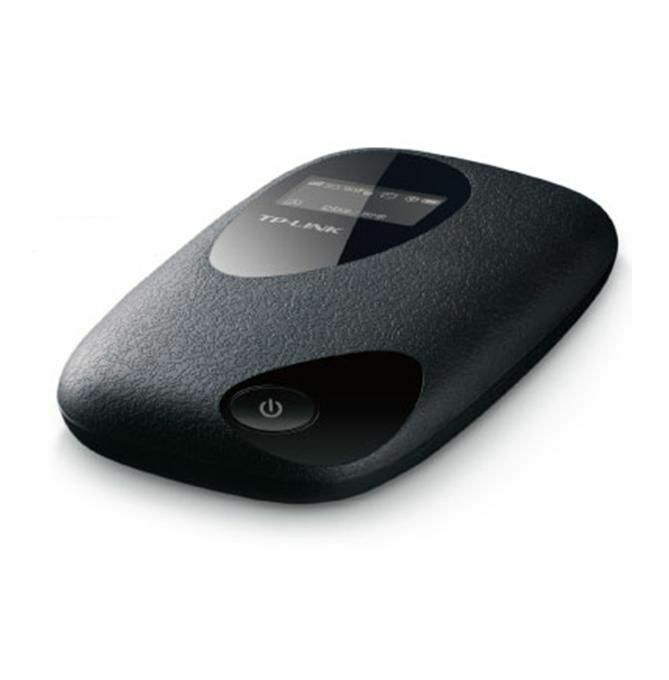 TP-LINK’s M5350 is at the forefront of wireless 3G sharing, combining the mobility of 3G broadband connections with the flexibility of 802.11n Wi-Fi - No other bulky devices required, simply insert a 3G SIM card to create a 3G Wi-Fi hotspot to share on the move, wherever 3G coverage is available. Supporting HSPA+ 3G broadband connections with up to 21.6Mbps download and 5.76Mbps upload speeds*, the M5350 is able to deploy a 3G wireless connection to be shared with up to 10 users simultaneously, providing a fluid and enjoyable Internet surfing experience. *Actual speed may be limited by ISPs or operation conditions. With its powerful 2000mAh battery, the M5350 is able to operate for 7-10 hours in typical application*or for 6-7 hours in bandwidth-heavy application* at full capacity. Besides, the device can be flexibly recharged via a micro USB cable to a laptop, portable charger or includes adapter for endless hours of 3G sharing. *Typical application means one client continuously surfing Internet, receiving/sending e- mails, listening to music online, etc alternatively. *Bandwidth heavy application means one client continuously downloading large files or watching video online. *The service time may vary due to signal status. With a compact case and innovative cobblestone design, featuring an embedded OLED display, the M5350 provides a much more intuitive view of the device’s working status, such as signal strength, network type (2G/3G), Wi-Fi status, message, Internet connection status, battery meter, auto mode and traffice statistics. The M5350, informally named “Pebble” is modeled after a sea-eroded stone. Beyond its aesthetic appeal, the slightly rugged nature of the device’s exterior, combined with its curved shape make it mold perfectly into the average palm. This sleek and exquisite device has until now received two awards for its innovative design, namely the Reddot Design Award, iF Design Award and International CES Innovations 2013 Design and Engineering Awards.